There are a number of reasons why you might consider using a button camera to covertly record things, including checking up on nannies or babysitters, monitoring your business, or as a vital part of home or office security. We’ve done the research and put these button spy cameras through their paces. The result? This buying guide packed with information that will help you make the right decision for your needs. Keep on reading to find out all the details you need to know. This HD button camera is at the top of our list for a number of reasons. First of all, the picture quality is excellent, especially when you consider that it’s such a small package. Besides that, it connect to WIFI and you can easily view footage remotely from anywhere you are via phone app. Next up on our list is a true “button” camera that can fit only your shirt if you’re wearing a suit of some kind. It’s kind of realistic, but may not be your top pick if you’re looking for something that can be 100% concealed under all circumstances. That said, it’s kind of a cool device that it designed to look like an actual shirt button, but it records footage (no audio) of what’s going on in front of you. If you want to record audio, then you’ll need to consider something like: USB Voice Recorder. Keep on reading to learn more about this shirt camera. 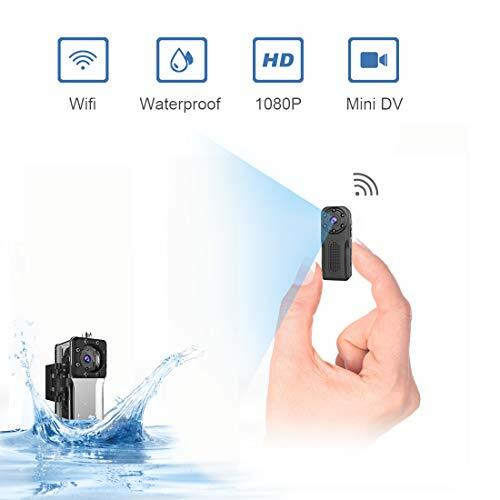 If you’re looking for a button camera that will work equally well indoors and outdoors, then this waterproof one should be on your list. The included plastic case makes it fully waterproof, quite an impressive feature that many of the other spy button don’t have. Combine that with good quality night vision, a nice phone app that doesn’t lag and connects in real time, and you certainly have a winner. All this and it’s also quite reasonably priced. 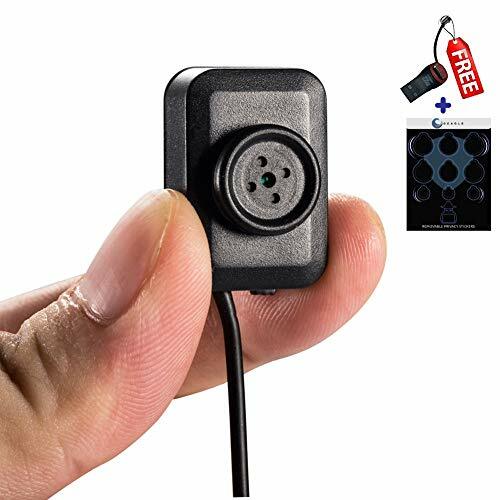 Next up on our list of the best button hidden cameras is this one with night vision capability. Let’s be real…you don’t want to monitor only during the day, right? This one uses advanced technology to allow you to see well, even in low light conditions. Besides that, there are a ton of features you’ll love. 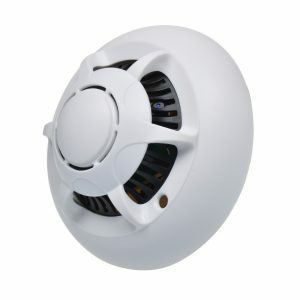 Keep on reading to find out more about this top-notch hidden camera. 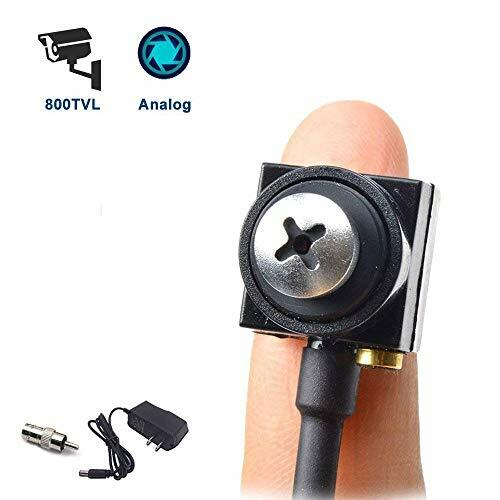 Many people have used this mini camera successfully as a dash cam. REFINED DESIGN: Screw Shape, unique and compact, ultra small size. Light weight, good concealment. You’ve asked for it, and not you’ve got it! Our readers wanted to know what the best camera in a screw is. We’ve chosen this one because it just works well. We love the fact that you have to connect it to a power source. This eliminates the huge disadvantage of the other cameras in that you are in a constant charge/use cycle. The fact that is doesn’t use WiFi and phone app can sometimes be an advantage because these products are often more durable. You have to either connect it to a monitor for viewing, or monitor/card if you want to save the footage. This makes it an ideal option if your home or business doesn’t have WiFi, but you want to a security camera option (learn more about that here: Security Cameras that Don’t Need Wi-Fi). What Should I Consider When Looking for the Best Button Camera? There are a number of things that you’ll want to consider when choosing your hidden button camera. We’ll run down a few of the features and benefits that you’ll want to look for. Can It Be Easily Hidden? Of course, one of the most important factors when choosing a button camera is to think about where it can be easily hidden. You may be able to think of some places to hide a button spy camera, or you may prefer a screw camera like the one we’ve already reviewed. 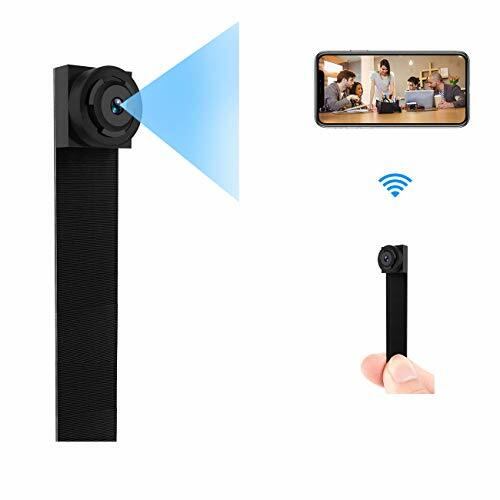 Whatever the case, you’ll want to get a small one that doesn’t scream “HIDDEN CAMERA.” These days, technology is so good that most cameras are small enough to be easily concealed. Definitely get a hidden camera that won’t be too obvious (if you want to keep it hidden). For example, there are some spy camera glasses, but if you don’t normally wear them, this will be too obvious. Same with water bottles. Only consider it if this is a normal thing you’d use. This is an important consideration when choosing the best hidden camera for your needs. This can vary widely between devices. For example, some last for around 30 minutes, while others are up to an hour or even a bit longer. This number usually refers to recording time. If left on standby for motion detection, it’ll last much longer. Why is the battery life so short? It’s because these mini cameras are so small! There just isn’t room for a bigger battery that can hold a longer charge. Then there also ones like the camera in a screw mentioned above that are permanently connected to a power source and record 24/7. This is especially important if you’re not fabulously savvy! You’ll want something easy to install, and then get up and running when connected to a monitor, SD card, or a phone app. Ideally, it should take you just a few minutes with minimal fuss and hassle. What you need strongly depends on your needs. If you want access to the footage remotely, then consider a device that runs on WiFi and that you can connect with via phone app. However, if you want something to run continuously and record the footage 24/7, then you’ll likely need a wired device that connects to an NVR or DVR (and optional monitor). Or, if you want access within a limited range, then consider a wireless device. Please remember our top rule here at Spy Cameras Reviewed: only for good and not for evil! In addition, it can be illegal in many countries, states and provinces around the world to record people without their knowledge. Be sure to check the laws regarding this in your specific situation. What about a Spy Camera for My Car? 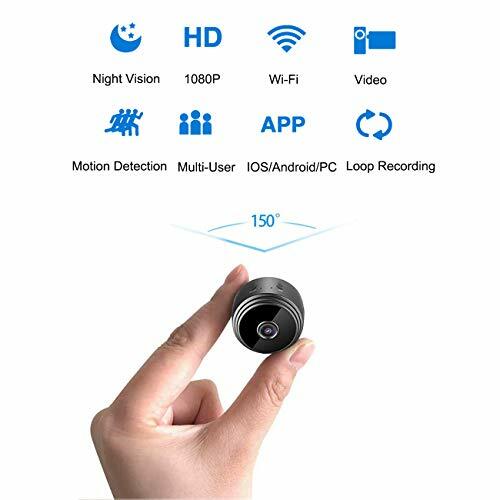 You may also want to consider a mini car camera. These can offer you a ton of protection in case of an accident or an encounter with the police. You may also want to keep an eye on how your children or employees are driving the vehicle that you own. What are your thoughts about the top mini button cameras? Leave a comment below and let us know what you think.